Heat a large griddle pan. Toss courgettes with oil and griddle in batches for two minutes per side until cooked through. Set aside. Meanwhile, finely chop chilli on a chopping board, add olives and basil, roughly chop to combine. Crumble over the feta and mix through. 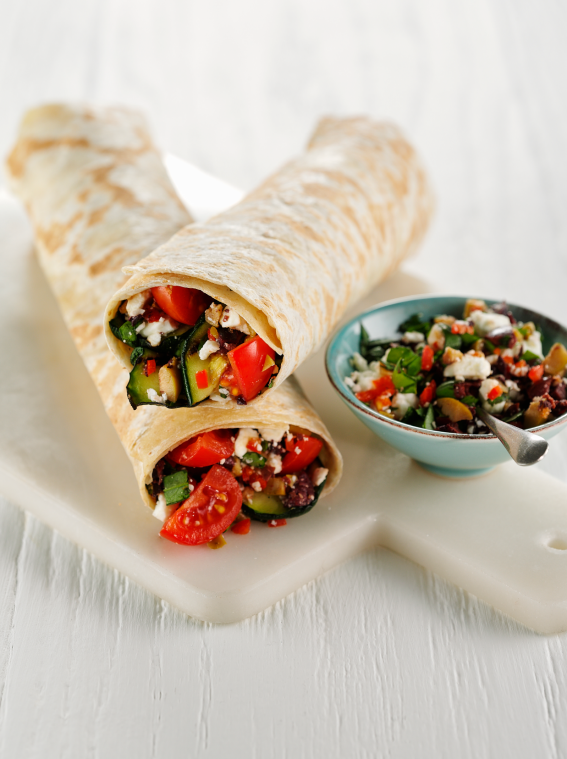 Divide courgettes, tomatoes and tapenade between the wraps. Fold in the sides and roll.